Seller to entertain offers $1,450,000-$1,650,000. 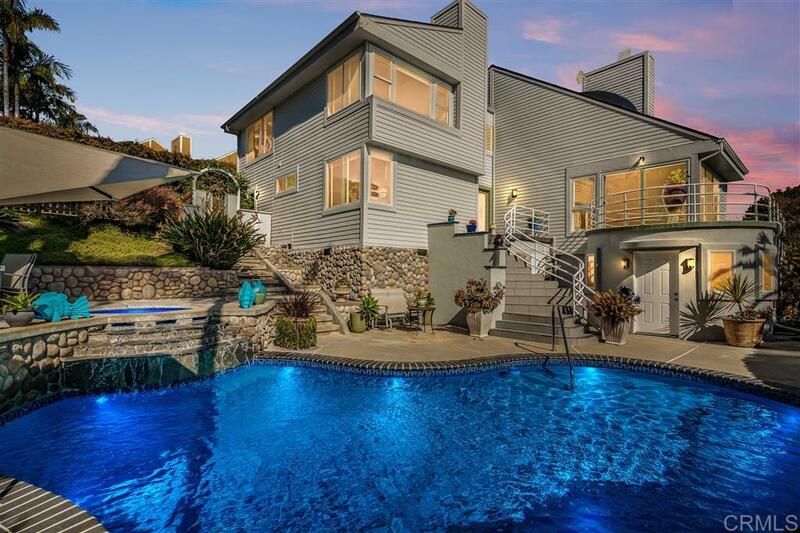 Custom home perched high on private cul-de-sac street delivers magnificent views. Abundant windows/skylights contribute to a bright and open feel. Secluded tropical retreat on .5 acre lot w/ large yard, pool, spa, waterfall, garden & fruit trees. Innovative architecture w/ wood vaulted ceilings, wrap around balcony, open loft, and artist studio w/private entrance. Second driveway w/ gate leads to possible RV/boat storage (see supplement), Upgraded kitchen with quartz countertop and stainless appliances opens to family room. The two downstairs bedrooms share upgraded bathroom/shower. Romantic upstairs master retreat with fireplace. Feel the breeze and enjoy the chirping birds from the spacious formal living and dining room. Newer roof, 5-ton AC, windows, skylight, and pavers; remodeled kitchen and bathrooms; re-plastered pool and spa; freshly painted. Located in desirable school district.